If you’re a fan of guitar music, and you’re exploring the world of classical guitar, this site is made especially for you. And this page will help you get the feel and lay of the site, so you can get started. Whether you’re 9 or 90, you’ll find articles, video tutorials, courses, and programs that take you from the very beginning stages of learning guitar, all the way up to honing your craft as a mature musician and playing beautifully. As you may suspect, music is more than just learning where to put your fingers, and even if you’re early in your guitar journey, you can practice and play in a way that makes even simple tunes much more beautiful. This site will help you to play more beautifully and find more meaning in your music, from where you are right now. Learning classical guitar is about curiosity, discovery and small, daily experiences that deepen and expand over time. It’s my goal to help you make guitar practice one of the best parts of your day. There are 4 main components to Classical Guitar Shed. Classical Guitar Technique – How to move your hands efficiently and create the habits that will let you play beautifully, without pain, excess tension, or wear and tear. How to Phrase and Play Beautifully – Beauty isn’t all subjective: there are little-known but extremely effective methods that, when used consistently, make music more beautiful. Articles – Explore many of the ins and outs of studying music and playing guitar. Practice methods, extra skills, and guitar-specific knowledge. Tuesday Quotes – Find bite-size reflections on music, mastery, and the daily endeavor of practicing guitar. 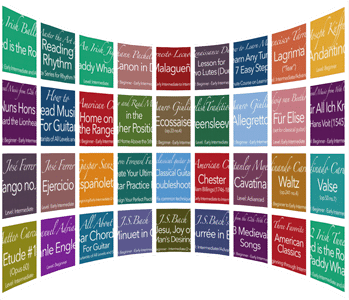 Free Sheet Music Library – Discover a wealth of guitar music, with notation and TABs. You can access the entire site index here. And keep an eye out: many of the lessons have valuable free bonus materials to extend your learning. Find very deep dives into specific skills and repertoire pieces. The courses are designed not only to teach you a piece of music, but to advance your phrasing and musicality, as well as how you approach learning pieces. These are my best work, and unlike anything else you’ll find on the internet. New courses are being added all the time. See available courses here. A progressive, step-by-step path to master the fundamental skills and techniques that will serve your playing for a lifetime. The Woodshed is one of the most detail-oriented, user-friendly, complete classical guitar programs you’ll find anywhere. Learn more here. At least once weekly, on Saturday mornings (PST), you’ll get some food for thought to carry you through your week. Enter your name and email below to join over 15,000 others who get weekly emails. There’s so much material on this site, it can easily get overwhelming. But you can relax and just dip a toe. First, sign up for emails so you can stay abreast of news and appropriate resources. Next, bookmark this page in your browser, so you can find it easily in the future. Then, explore some of the links in the drop-down menus below. They’ll point you to a few popular destinations based on your interests or needs. Regardless of philosophies, theoretical understandings, or brilliant inspiration, if your fingers don’t move, the music won’t flow. 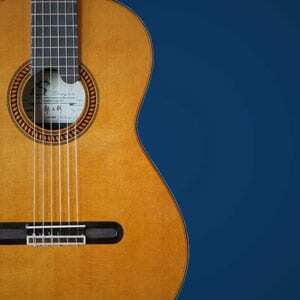 Guitar technique is part of the daily endeavor that is the classical guitar. The main goal is to play beautifully, but to do that we need solid fundamentals and effective technique. See the Entire Technique Archive Here (or browse the Site Index). If you’re truly interested in having beautiful sound and great technique, you may like to explore The Woodshed. Remember Bob Ross, the painter on TV with the afro who showed step by step the process of creating a painting? This was my inspiration for these lessons. Here I take small pieces and go deep into the processes of learning, practicing, and making them beautiful. From whatever level you currently play, you will gain insight from learning these pieces with me. (complete PDF music packets are included). Or check out the Premium Courses Here (or browse the Site Index). For even deeper, note-by-note explorations of beautiful pieces, tour the Courses Page. These are my very best teaching, and more in-depth than just about anything else you’ll find for the classical guitar. Discover Even More in the Archives (or browse the Site Index). To see these in practice (instead of just in theory), I suggest taking any of the repertoire courses. You’ll also find many lessons in the category above, Full Lessons. Of course most of our time studying guitar is spent actually practicing. Over time, the quality of our daily interactions with the guitar are what shape us as players. While we are “learning to play guitar” what we are actually doing is learning how to practice. Are You Practicing, or Are You Exercising? See More on the Art of Practicing Here in the Full Archives (or browse the Site Index). In The Woodshed, you’ll find over a hundred guided, play-along practice videos. You’ll stay more focused and learn even more quickly. Find out more about The Woodshed here. There are so many topics surrounding “How to play guitar” that many just defy broad categories. Do You Really Need Long Fingernails? Find Even More Articles Here in the Archives. To keep abreast of new articles and also enjoy a weekly note from me, join the email list. 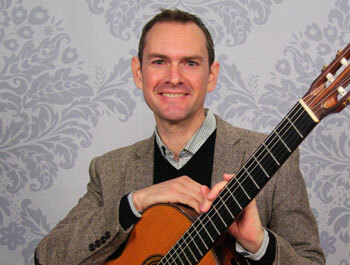 Based in Portland, Oregon in the US, I (Allen Mathews) spend my days studying classical guitar and sharing what I learn on this site. Though I didn’t find classical guitar until I was 25 (I started folk guitar at 18), I earned a B.A in classical guitar performance, and have been in private lessons with various teachers and coaches consistently for over 15 years, primarily in the US and in Brazil, where I lived and studied. In addition to teaching privately, I’ve spent many years on the classical guitar faculty at Lewis and Clark College, and Reed College here in Portland. I’m proud to be able to say that former students have gone on to win college scholarships, regional grants, and competitions (including one national)! Since 2010, I’ve been working with an internationally renowned concert pianist as my musical coach, honing performance practices and learning techniques passed down from some of the greatest musicians in the piano tradition. (Just to clarify, I’m on guitar, he’s on piano.) I’m grateful for my weekly musical coaching, as it gives me different perspectives, and sets me apart as a teacher and musician. It also adds immeasurable joy (and challenge) to my daily guitar practice and life. It’s an honor and a dream come true for me to be able to spend my life studying music and to be of some small help on your personal journey in classical guitar. You can hear me play on the CGS Youtube Channel, here. Thanks so much for stopping by. I hope you enjoy the site. If you ever have a question or need anything, please drop me a line. I’m here to help.